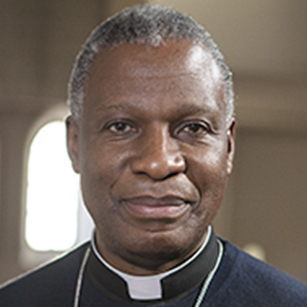 Archbishop Archbishop Thabo Makgoba was the one on the 2008 Lambeth Design Group who introduced Indaba. At ACC 16 he set out his reasons for doing so. My reason for introducing the concept of Indaba into the Anglican Communion was to help us reconnect with more gospel-shaped approaches that better reflect theologies around the work of the Spirit, and the body of Christ. I believe it can powerfully enhance our traditional ways of doing business. When I read St Paul I hear him saying that we are to have the mind of Christ when it comes to making spiritual judgements. This is not about competitiveness, dominance, power, polarisation and adversarial attitudes. I was also conscious of our Godhead as Trinity being an amazing example of mutually enhancing diversity in unity – rather than difference becoming the first step to oppositional thinking. Scripture speaks of us living as the Body of Christ, as one, but with many different members. Indaba calls community members together to share news of developments or discuss concerns that affect the life of the community or individuals within it. Scripture says that God has so arranged the body that the members may have ‘the same care for one another’. Indaba is predicated upon a strong sense of shared well-being, experienced on a reciprocal and mutually supportive basis. Scripture says that when one part of the body suffers, ‘all suffer with it’. Indaba necessarily entails a degree of acknowledged interdependence, even vulnerability, towards one another. Scripture says that the members of the body that are ‘weaker are indispensable’. Indaba says leaders must work for the well-being of the entire community, especially those in greatest need, and the ‘haves’ must provide for the ‘have nots’. Scripture says that the less respectable should be treated with greater respect. Indaba promotes an egalitarian ethos, in which everyone should be encouraged to grow into a productive and contributing member of the community. Scripture says that to each is given the manifestation of the Spirit for the common good. Scripture says that, notwithstanding all this diversity, when living as God intends, there need not, there should not, be dissension. Indaba seeks an outcome that is as consensual, so all are winners and none are losers. At the time I spoke of the need to ‘baptise’ Indaba. Indaba is not about trying to make everyone into Amazulu, nor about transplanting elements from one culture into a completely foreign and inappropriate context. It is essential to focus on the scriptures and to gain insights from the diverse cultures of the Communion. A fuller explanation of the significance of Indaba for the Anglican Communion was set out by the Archbishop in a talk for USPG in 2010.